Need to send a parcel to Australia? Then you need not look further than Parcel to Australia. 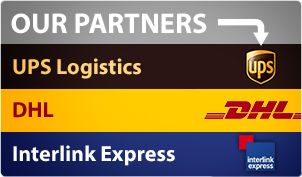 We offer courier services from some of the leading global firms at a massively discounted price. If you need a parcel delivered quickly, we can have a parcel delivered directly in just 2-3 days. Just make sure that parcel weighs under 500kg and we will handle the rest. With our services you can even arrange for a parcel to be picked up straight from your doorstep! To get an instant price quote for your parcel to Australia simply use our “Quick Quote” menu. This can be found at the top of the webpage. Then just enter your parcel details such as the weight and the parcel dimensions and we will then give you an instant quote. The price quote you will be given will show you all of the different delivery services for your package and the cost of sending the parcel. Just remember to check that there are no restricted or prohibited items. Order your parcel to Australia before noon for same day collection! If you need help at any stage or have some questions about our services please do not hesitate to get in touch with us. Our friendly U.K based team are more than happy to assist you at any stage of your order. You can contacts by either email or alternatively by telephone. With more UK families choosing to reside down under, imports from Australia are becoming increasingly popular to the UK. We offer cheap and affordable services for parcel deliveries, using major couriers services. Importing to the UK from Australia has never been easier. Simply change the 'collection country' to Australia in the Quick Quote menu above and the “destination country” will automatically be changed to the UK. Once the parcel delivery details have been entered you will receive a free price quote. Whether you are looking to import heavy or large parcels from Australia, we can give you a quote instantly.